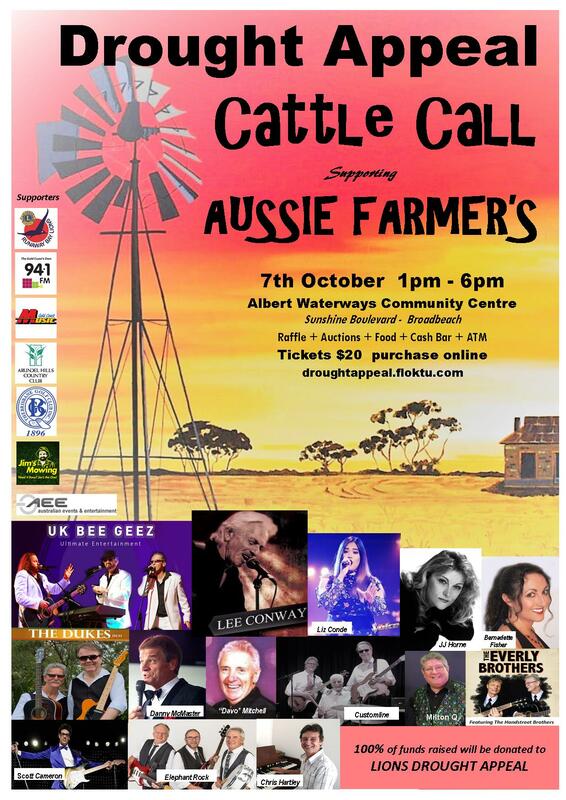 It’s a "CATTLE CALL" bringing all the stars into alignment to raise much needed funds for our "AUSSIE FARMER'S"
Sunday 7th October 1pm till 6pm at Albert Waterways Community Centre, Sunshine Boulevard – Broadbeach. Raffles + Auctions + Food + Coffee + Cash Bar + Dancing + ATM on site. 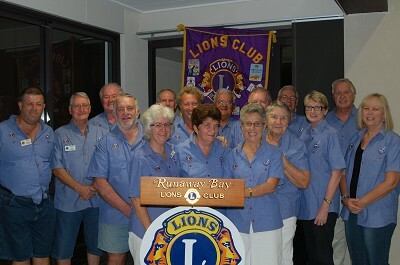 Lions Clubs around Australia are focussed on helping farmers through this extraordinary drought & 100% of funds raised will be dispersed to local Lions Clubs in drought affected communities for fodder and other essential items to assist farming families in need.